Kristinn R. Thórisson, IIIM Managing Director, and his collaborators Helgi Páll Helgason and Eric Nivel, have received the 2012 Kurzweil Award for Best AGI Idea. The prize was awarded for their research on attention mechanisms, and to one other paper, at this year’s AGI conference at Oxford University in Cambridge. The award was founded by the author and inventor Ray Kurzweil, who was recently appointed Google’s Director of Engineering, and is sponsored by KurzweilAI.net. Many existing AGI architectures are based on the assumption of infinite computational resources, as researchers ignore the fact that real-world tasks have time limits, and managing these is a key part of the role of intelligence. In the domain of intelligent systems the management of system resources is typically called “attention”. Attention mechanisms are necessary because all moderately complex environments are likely to be the source of vastly more information than could be processed in realtime by an intelligence’s available cognitive resources. Even if sufficient resources were available, attention could help make better use of them. We argue that attentional mechanisms are not only nice to have, for AGI architectures they are an absolute necessity. We examine ideas and concepts from cognitive psychology for creating intelligent resource management mechanisms and how these can be applied to engineered systems. We present a design for a general attention mechanism intended for implementation in AGI architectures. 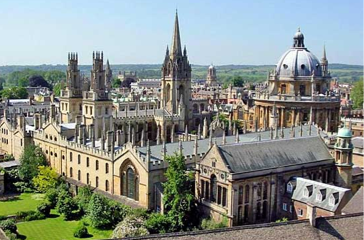 AGI-12@Oxford gathers an international group of leading academic and industry researchers involved in scientific and engineering work aimed directly toward the goal of artificial general intelligence. The original goal of the AI field was the construction of “thinking machines” – that is, computer systems with human-like general intelligence. Due to the difficulty of this task, for the last few decades the majority of AI researchers have focused on what has been called “narrow AI” – the production of AI systems displaying intelligence regarding specific, highly constrained tasks. In recent years, however, more and more researchers have recognized the necessity – and feasibility – of returning to the original goals of the field. Increasingly, there is a call for a transition back to confronting the more difficult issues of “human level intelligence” and more broadly artificial general intelligence (AGI). This is the only major conference series devoted wholly and specifically to the creation of AI systems possessing general intelligence at the human level – and ultimately beyond. The AGI conference series has played, and continues to play, a significant role in this resurgence of research on artificial intelligence in the deeper, original sense of the term. Appropriately for this Alan Turing centenary year, this is the first AGI conference to be held in the UK.